General Blog: Adding a box under the Post (main-wrapper). Ketidaktahuan anda adalah kepedulianku untuk selalu memberikan informasi, meski hanya sekedar hilangkan rasa ingin tahu saja. Adding a box under the Post (main-wrapper). To have it seem like the magazine online, then we need to add some elements of the page that we will be in place bloglist these new elements. 1. Backup first template us. if you want to make it easier to restore the original appearance. 2. Open the Edit Html and search this html. 3. Once found, enter or paste the following code after the code </ b: section>. 1. If you want to change the width to distinguish the only value in accordance with the width we want. 2. <h2> default tags, <ul> , etc, follow the rules in the sidebar blog. If you want to have a set of individual, we must make the material. 3. 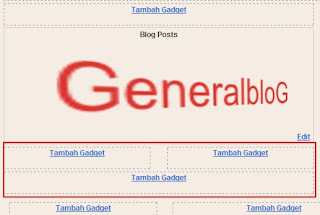 Then add the gadget Bloglist, which appear to recent post blog entries feed us as we address below. Replace the number 2 above, if we want to show recent posts next. To Share knowledge and get paid for providing quality content. Wanna earn money online? Start earning serious cash now.